Submissions for 14th Annual WriteFest now open! Calling experienced or aspiring playwrights! Our short play competition, now it's 14th year, is now open for entries. We are looking for short plays, 10-20 minutes long. Chosen entries will be assigned to directors and presented at the theatre in October. This is your chance to get your work staged. Deadline for applications: 14 April 2019 - we will accept entries up to midnight! Performance dates: September 2019 - to be confirmed. 9. Entries must be submitted in PDF, MS Word, or plain text format in size 12 font, double spaced with page numbers. They must be set out as a theatre script. Entries not complying to these rules will be rejected. 10. Entries must be submitted anonymously. Neither the writer’s name nor their details should appear on the script. Entries not complying with these rules will be rejected. 11. Entries must be sent as an attachment to writefest@progresstheatre.co.uk with a covering email which must include the following details: author’s name, author’s address, author’s contact telephone number and title of the Entry. Scripts should have a running time of between 10 and 20 minutes, be laid out as per the rules and not have been performed or published elsewhere. 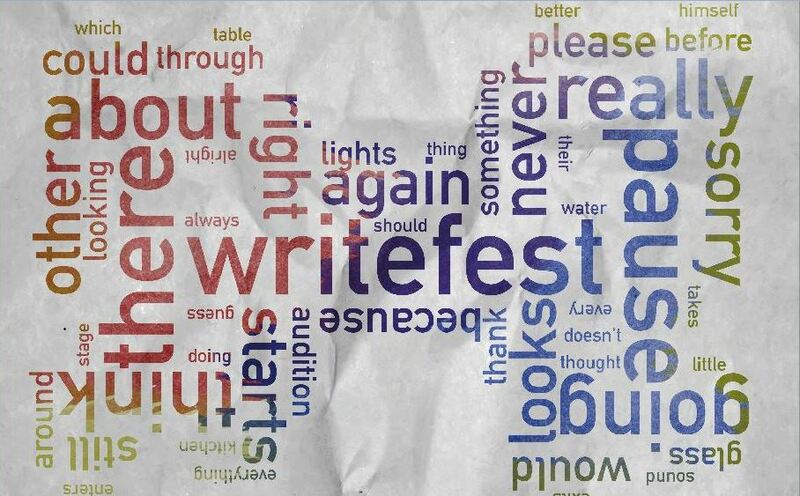 So, you should make sure your name is not on your script and attach it to an email to writefest@progresstheatre.co.uk. There is no entry fee. Open to members and non-members alike.